Student at First Lutheran School in Glencoe held their annual non-public schools marathon on a sunny, but brisk, Friday afternoon. While most walked the route, some joined Principal Dean Scheele in running it. 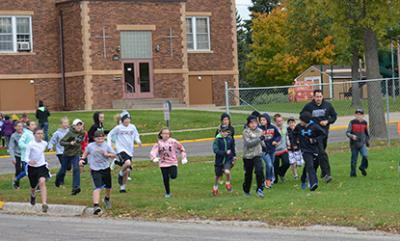 The marathon raises money for the parochial school. Submitted by admin on Wed, 10/12/2016 - 9:46am.